I appears to be a split color, black underneath and a deep purple on top. At least on my monitor is seems as such. Look at the underside of the spikey legs and you'll notice the lack of glitter yet its present on the top sides. Probably best using a twin injector for this. It seems that some color comes through the black so I'd start off with a medium smoke as the bottom color and thicken it as needed. 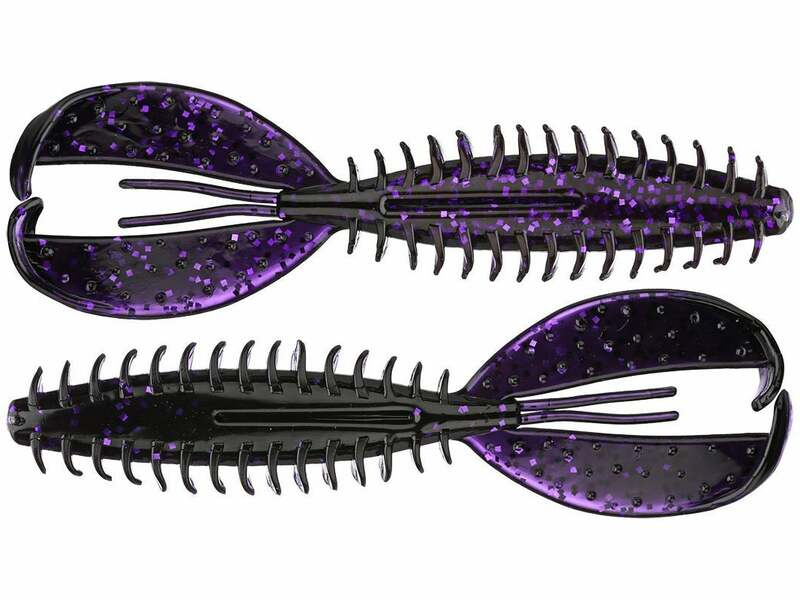 The top I'd use either Do-Its Florida Grape or black grape from somewhere else, keeping the color fairly transparent and adding some purple glitter, maybe start with .015 size. The black and florida grape colors are pretty deep purple so I'd try to keep the underlying black a bit thinner, a medium to dark smoke should do it. If you look at the picture in the link and study the tails' edges you'll see the deep purple come thru with the darker smoke atop of it while the underside, being much thicker, appears to be black. Smoke on the purple stops a lot of light so the bottom appears to be black when it most likely is not a solid black at all. Another give-away is the purple glitter that shows only slightly thru the black color....smoke will allow this where black would likely blank out the purple glitter showing from underneath. There is no glitter in the black color but seeing it slightly under the belly color makes me think its a smoke..
Tom I think you hit the nail on the head with that color.